Kxip team squad is placed here. Kings XI Punjab Team tried almost everything in previous season of IPL (i.e. IPL 2018) and surely they performed very well in last season. 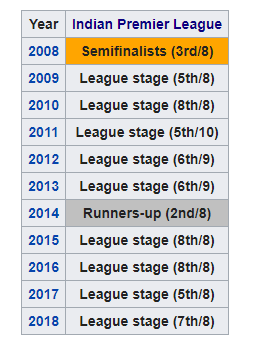 They did not win any IPL title till yet. They managed to reach into the final in 2014 but unfortunately they did not win the championship. Stardom is also attached with Kings XI Punjab Team due the co-founder of the team “Preity Zinta ”. 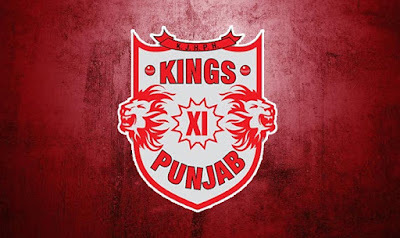 Kings XI Punjab retained 9 players for IPL 2019. They have to bid on big players for this season in IPL auction. We are hoping to see good cricket from Chris Gayle this season. Chris Gayle is one man army for Kxip team who can turn any match. The home grounds of Kings XI Punjab Team are IS Bindra Mohali Cricket Stadium and Holkar Stadium Indore. This is the only team of IPL who has two home grounds.